InspectionXpert OnDemand is now 11 times better! With this release, including 11 great new features, we take a major step toward making our software both easier to use and more powerful. We also make InspectionXpert OnDemand easier to use everywhere, including in on-premise installations (behind the company firewall, on your own servers!). Edit data in the Bill of Characteristics table - Ever wanted to edit the properties of a characteristic in the Table Manager? Now you can! Part labels for MeasurementXpert - Now you can edit the labels for each part header within MeasurementXpert. Selective Measurement Export - More flexibility in publishing reports. Horizontal template support - Now support the publish of characteristic data to Excel horizontally (left to right). Custom Project Property OCR - Use the new OCR buttons to extract text from PDFs. 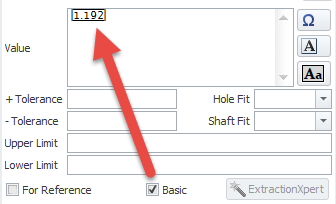 Update Characteristics when changing default tolerances - Now you can edit the Default Tolerances table to update the tolerances and calculated limits of characteristics in your project without the need to edit them manually. New CMMXpert formats supported! - Supported CMM formats continues to grow. Basic & Reference dimension formatting - A new option for use with GDT Font Support. OnDemand update deferral option - Users may now choose to defer updates to InspectionXpert OnDemand. Exciting News: For those situations such as tight IT security restrictions that prohibit the use of standard InspectionXpert OnDemand this solution eliminates the need for end users to access the internet for launching or licensing the software. “On Premise” InspectionXpert OnDemand deployment option - InspectionXpert OnDemand now offers a new “On Premise” option for deployment! Your company network administrators have complete discretion over when updates are applied and even have the option to set up new InspectionXpert software updates in a separate ‘staging’ location for review and approval prior to rolling out for production use. One of the powerful benefits of Software as a Service and our OnDemand installation and updates is the availability of the latest version, automatically. We hope you will “share the news” and recommend our software to others. Just send them this link and they can try out InspectionXpert OnDemand and all these new features at no cost. 1. 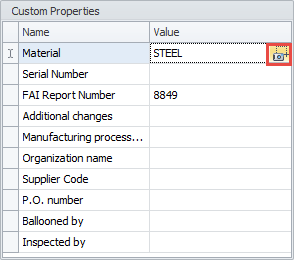 Edit data in the Bill of Characteristics table - Ever wanted to edit the properties of a characteristic in the Table Manager? Now users may characteristic data directly in the Table Manager without the need to use the Characteristic Property Manager. 2. Part labels for MeasurementXpert - Users can now edit the labels for each part header within MeasurementXpert. These Part Labels are published to Excel upon export. 3. Selective Measurement Export - Excel publish has a new group of settings found under “Measurements”. Within these settings, users may now choose the number of parts to be published to their reports. 4. 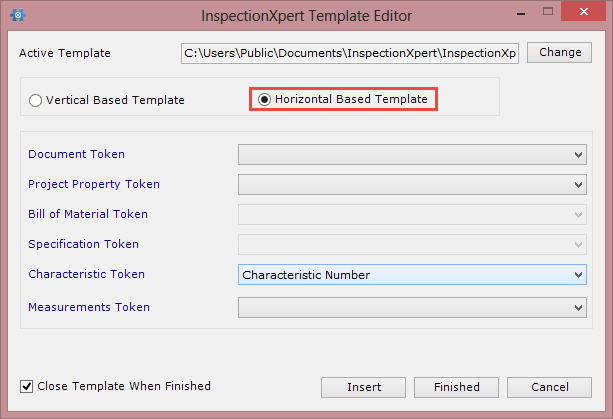 Horizontal template support - The InspectionXpert Template Editor and Excel Exporter now support the publish of characteristic data horizontally (left to right). 5. Custom Project Property OCR - OCR functionality has been added to the Custom Project Properties. Users may now extract text from PDFs to populate these fields using these new OCR buttons. 6. 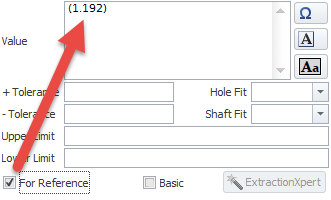 Update Characteristics when changing default tolerances - Ever realize that your default tolerances were not defined properly after you have already started an InspectionXpert project? Well now you can edit the Default Tolerances table to update the tolerances and calculated limits of characteristics in your project without the need to edit them manually. 8. Basic & Reference dimension formatting - A new option can now be enabled for use with GDT Font Support to automatically format Basic dimension values with a frame and Reference dimensions surrounded with parenthesis. 9. OnDemand update deferral option - As of the 2015 SP02 release, users may now choose to defer updates to InspectionXpert OnDemand. 10. “On Premise” InspectionXpert OnDemand deployment option - InspectionXpert OnDemand now offers a new “On Premise” option for deployment! This solution was designed for use by companies with tight IT security restrictions that prohibit the use of standard InspectionXpert OnDemand deployment and licensing. InspectionXpert “On Premise” is deployed and licensed all within a local network, completely eliminating the need for end users to access the internet for launching or licensing the software. New releases of “On Premise” are posted to InspectionXpert.com and available for download in sync with standard InspectionXpert OnDemand releases. Since the “On Premise” software deployment package is manually downloaded and placed within a company’s local network, network administrators have complete discretion over when updates are applied. Network administrators even have the option to set up new InspectionXpert software updates in a separate ‘staging’ location for review and approval prior to rolling out for production use. 11. Italian language support - InspectionXpert OnDemand can now be displayed in Italian. Raul Hidalgo • 307 days ago Inspection is demand every where.